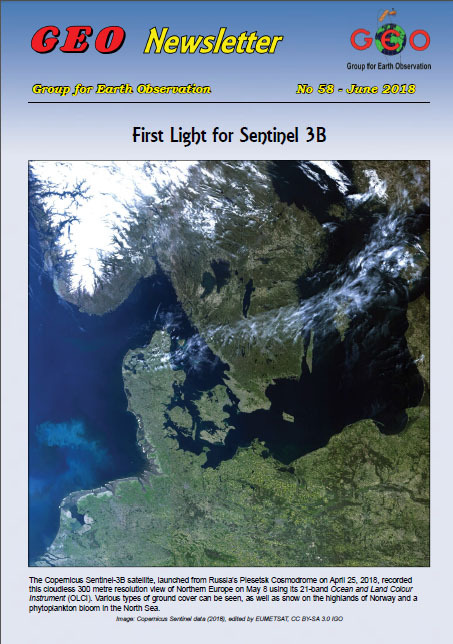 The June PDF of the weather satellite publication GEO Newsletter produced by the Group for Earth Observation is now available for free download. The Group for Earth Observation’s aim is to enable amateur reception of weather and earth imaging satellites that are in orbit or planned for launch in the near future. Membership of GEO is free. Among the items in this newsletter Francis Bell G7CND writes about the GEO display at the Kempton Park Amateur Radio Rally, Les Hamilton provides an update on the Meteor M2 satellite and of course there are the impressive weather satellite images received by members.